AN EASTERN EUROPEAN man who said he discovered he was the only one at the company he worked for who didn’t receive four weeks paid holidays a year has been awarded almost €10,000 following a hearing at the Workplace Relations Commission (WRC). Since the man started working at the agricultural company, he hadn’t been given any paid holidays or payment in lieu. He submitted to the WRC that he was the only non-Irish national working with the firm and said he found out only two years into the job that everyone else got this paid annual leave. The company did not attend the hearing, so the man’s claims went uncontested. The WRC adjudicator noted that the complaint the man submitted could potentially be out of time, as it was submitted past the six month deadline. He submitted that he had sustained a work-related injury which caused him to leave the job, despite his employers denying the incident had occurred at work. He also said he wasn’t furnished with a P45. The first section of the complaint dealt with his submission that he regularly worked hours that exceeded 48 a week. He said he would regularly work evenings as well as during the day, often when other staff had gone home. The man said he was the “dogsbody on the plant and was treated to everyone else”. He said that it was only one occasion – during his first year in the job – that he was given a paid week off to visit the country he was from. Other than that, the man submitted he wasn’t take annual leave in the two years following this. “He assumed that due to the plant being so busy that all the employees were treated like this, however this was not the case,” the adjudicator said. In 2017 his Irish work colleague told him that if he were him, he would not continue to work for the respondent. This work colleague said that all workers are entitled to and received paid holidays. This was the first time that the complainant discovered this discrepancy in terms of less favourable employment terms. After seeking a meeting with his employer, the man said he was told he was owed no money whatsoever. He submitted that he believed he received less favourable treatment because he wasn’t Irish. He also said other examples of this were when he was often given the “most difficult or unattractive work”. The WRC adjudicator found it reasonable to extend the usual time limit so that it could rule on the case. Based on the uncontested evidence regarding excessive working hours, the man was awarded €1,000. He was also awarded a sum of €900 for the holiday pay he wasn’t given. 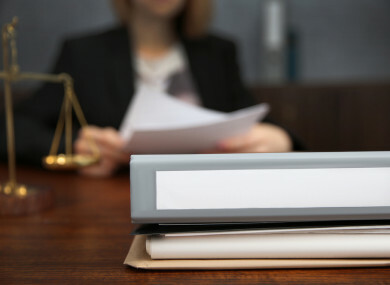 Although some of the evidence regarding what the man was told by a fellow Irish worker was “hearsay”, the adjudicator said it was unlikely that employees would accept terms and conditions where they didn’t receive any paid holidays. The worker was awarded a sum of €8,000 in this respect. “I make this award taking into account the effects of the discriminatory conduct had upon the complainant, the fact that he suffered loss in terms of payment in lieu of holidays and to penalise the respondent in order that this conduct is not repeated in the future,” the adjudicator noted. Email “Non-Irish national who said he was only one in the job not given paid holidays awarded €9.9k”. Feedback on “Non-Irish national who said he was only one in the job not given paid holidays awarded €9.9k”.